GetDivorcePapers.com provides professionally completed, 100% court-approval, money-back guaranteed Kentucky divorce forms. Just create an account, complete the interview, and file for divorce. Our case managers do all the work for you, and send the completed Kentucky divorce forms when they are ready to be filed. It is necessary for the filer spouse to be either the resident or the member of armed services of this state for six months prior to filing. Further, papers can be submitted into county of either of two spouses. It is required by the both spouses to agree with whatever the reason has been mentioned in the case. They are supposed to validate the reason later on until the dissolution of the marriage. The only reason that Kentucky approves in divorce cases is the separation between the two members which is irrecoverable in nature. Moreover, time period for this separation should be two months. For the best nurture of the child, courts in Kentucky have the rights for giving child custody to either both or sole parent. Decision is made after analyzing following factors. Flexibility in personality of child to settle in new environment. Health of all individuals that are directly related to this decision. Suggestion from the parents to give the custody to a non-parent individual. However, in this regard, no reason for the dissolution of marriage is considered to be important unless it is domestic violence. Being an equitable distribution state, Kentucky divides all the marital property of the spouses in equal proportion irrespective of the reason of the dissolution. All the separate property and, gifts, and inheritances of the spouses are kept out of this case. State focuses on following factors before taking an action for the property distribution. Contribution made by each spouse in acquisition of the marital property. Total worth of the separate property of each spouse. Economic circumstances of both the spouses during the division of the property. Total duration that the marriage lasted for. Any insurances and retirement facilities. Lacks sufficient property to fulfill his or her needs. Is unable to find the employment even in near future. Minimum time required to get the essential education and skills required for the employment. Living standards during the marriage. Capability in the payer spouse to pay for the maintenance. Financial standings of both the spouses. Emotional and health conditions of the spouses. 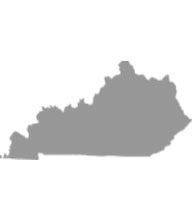 State of Kentucky has set official Child Support Guidelines according to which either one or both the spouses have to pay for the child support. The amount determined by these guidelines can be adjusted according to the capability of the parents. Following matters are considered in this regard. The basic as well as extraordinary needs of the child. Need for the special education, training, and skills of the child. Separate financial strength of the child. Income of the both parents. Prevailed circumstances in the family. Health insurance coverage of the child. Either the court or the any of the two spouses may seek for the reconciliation. For this, court provides the facility for the mediation in divorce case and the case can be prolonged for 60 days for marriage counseling of the two spouses. There is no need of a lawyer when applying for divorce in the state of Kentucky. A divorce case which is filed without any help of an attorney in any of the states is known as Pro Se Divorce. Literally, Pro Se is a Latin phrase and it means "on her or his own". Process of getting the divorce without the help of lawyer may vary from one State to another. These types of divorces are perfectly legal and enforceable in Kentucky, and are actually very convenient. Usually, once settlements have been made regarding property distribution and custody matters among the spouses in case of a mutual divorce, Pro Se Divorces are filed.